You can now own a Brilliant Uncirculated 2017 Quarter Sovereign, completely free. Here at the London Mint Office you can claim this rare opportunity to own a free solid gold BU Quarter Sovereign. For any collector of exclusive coins, owning a 2017 Gold Sovereign is simply a must. Purchase any one of our spectacular sovereign sets and get your Solid Gold BU Quarter - completely free! 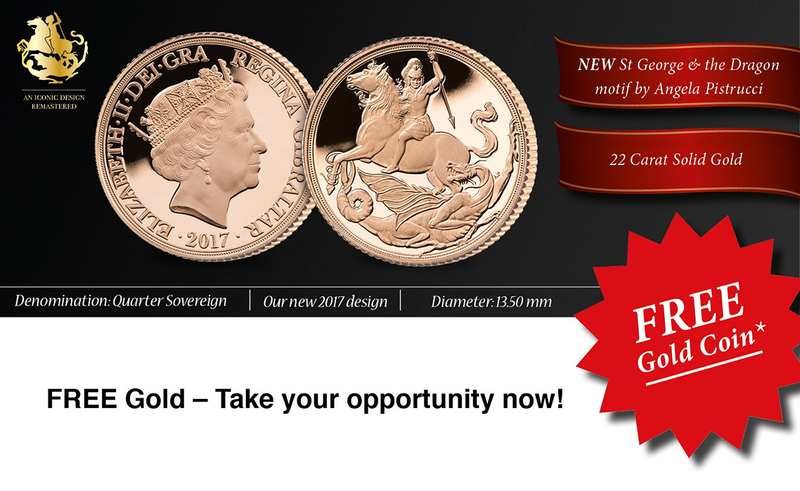 With so many versions to choose from a customer care representative is waiting to take your call and make your decision even easier, and of course advise you how to get your free Solid Gold Quarter Sovereign. *Free BU 2017 Gold Quarter Sovereign when you order your 2017 sovereign set.